Aromatherapy came from two words. The word aroma means fragrance or smell and therapy means treatment. It is thought that aromatherapy benefits include treatment and prevention of some diseases by using essential oils. Essential oils came from plants, flowers, leaves, bark or roots. These oils are typically mixed with other oils to create different recipes which suits different effects, and can be in the form of lotions, soaps, bath salts, soaks, perfumes and even candles. There are three modes of aromatherapy application. First is aerial diffusion, which means environmental fragrance or simply using essential oils to fragrant the room. Second is direct inhalation, for respiratory disinfection and decongestion. Lastly is the topical application or using it as general massage, bath, or therapeutic skin care. It is said that aromatherapy works by stimulating the smell receptors in the nose, which then sends impulses to the brain's limbic system, which is responsible in controlling emotions and memory. However, others say that Aromatherapy does not cure conditions, but helps the body to find a natural way to cure itself and improve immune response. Some studies have shown that aromatherapy can relieve stress, depression, and anxiety. It also improves quality of life and promotes good sleep. Pregnant women use aromatherapy to normalize childbirth and to increase their satisfaction in their labor experiences. 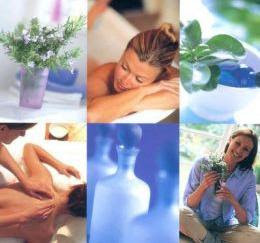 Aromatherapy strengthens our body, increases blood circulation and even boosts the immune system. The essential oils can stimulate and calm our system. It is also widely used in baby baths. It purifies the atmosphere and helps teething problems, itchy skin, and sleep problems. Rosemary and Lavender Aromatherapy are both associated with feelings of contentment. They promote good mood and also release calming and soothing effects. Peppermint aromatherapy can increase memory and alertness, which is perfect for stressed students and workaholics. Lavender oil is also great for headaches. You can apply some on your temples or to a warm bowl of water, then drape a towel over your head and inhale it for a few minutes. Sinuses and colds can be cured by aromatic chemicals like eucalyptus and menthol. Using aromatic oils in massages are also helpful in physical pains such as body aches, sprains, muscle pains, and migraines. The oils are quickly absorbed by the skin, bringing recovery. Aromatherapy is very beneficial in skin health. Essential oils are said to be anti-fungal, anti-bacterial and anti inflammatory. It also has healing properties. Jasmine, Lavender and Rose oils are helpful in fighting aging and moisturizes the skin. Olive oils and Tea Tree Oils are also good face-cleansers. However, we should be careful in choosing essential oils to use in aromatherapy. Some essential oils are highly concentrated and can cause skin irritations. Some can't be used by pregnant and lactating women, while others can be toxic to domestic animals. It is still best to consult your doctor before doing an aromatherapy.